This day was saddest day of the trip. 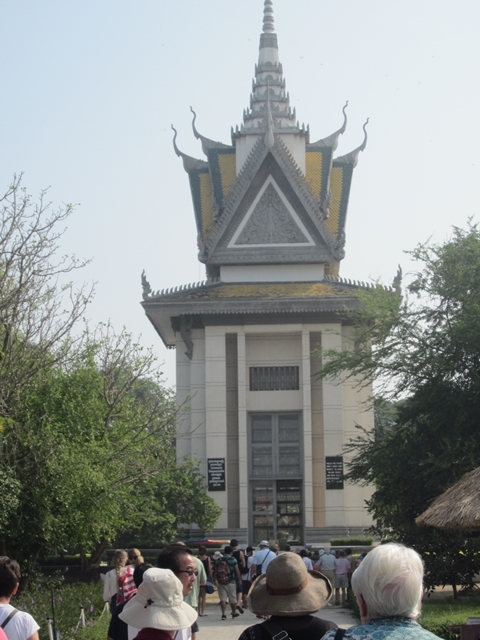 We visited “The Killing Fields” and “The Genocide Museum”. A very sobering experience! Please feel free to skip this page and go to Page 10 if you don’t like unpleasant pictures! 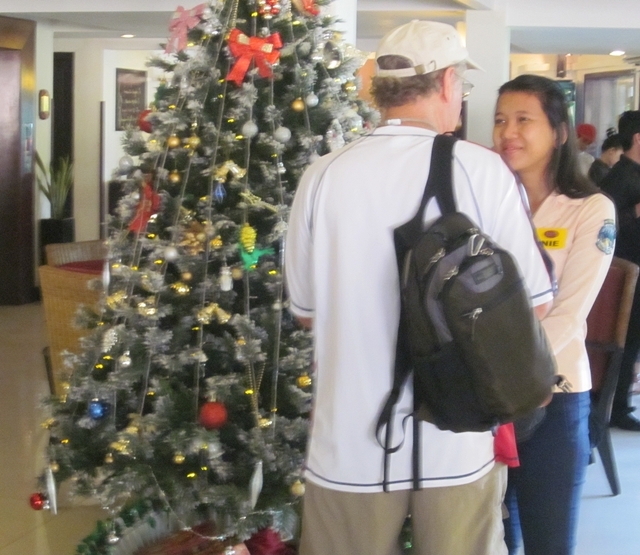 The day started pleasant enough: a nice breakfast in the hotel and Will chatting with Nie at the lobby Christmas tree. 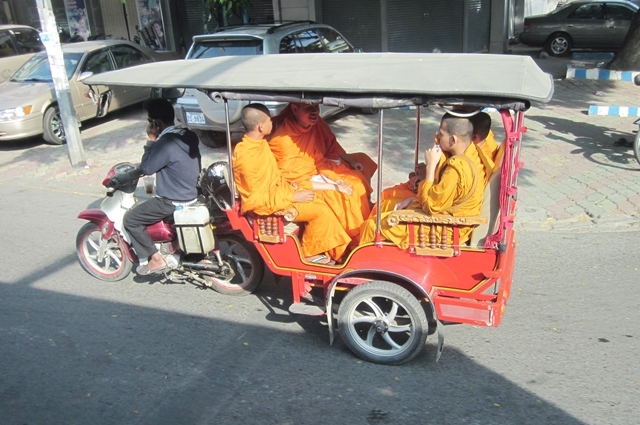 A neat pic of 5 Monks going to work in a Tuk Tuk. 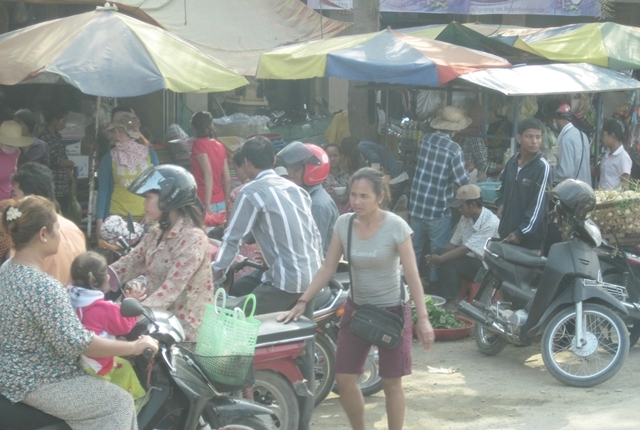 The usual street crowds in this city of 5 million people. 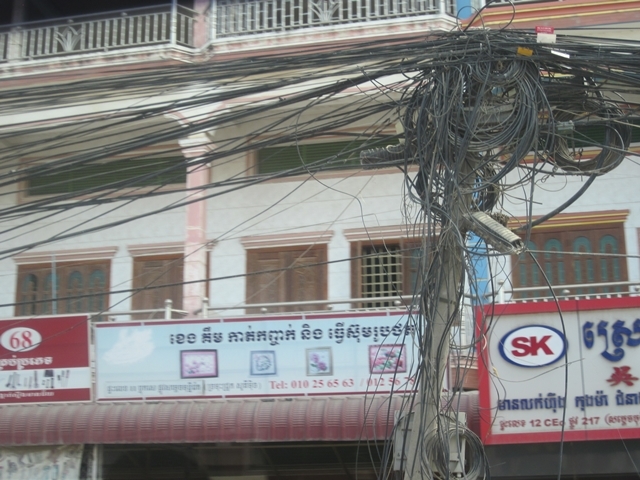 Then the visit to Choeung Ek. This is the Memorial Stupa. 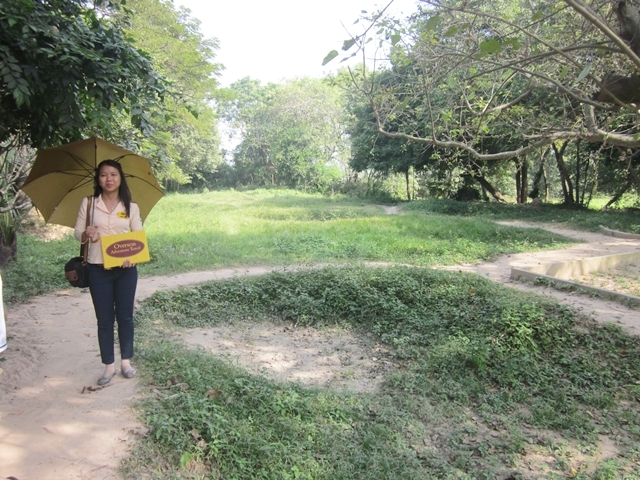 This is the site of a former orchard and mass grave of victims of the Khmer Rouge – killed between 1975 and 1979 – about 17 km south of Phnom Penh, Cambodia, is the best-known of the sites known as The Killing Fields. 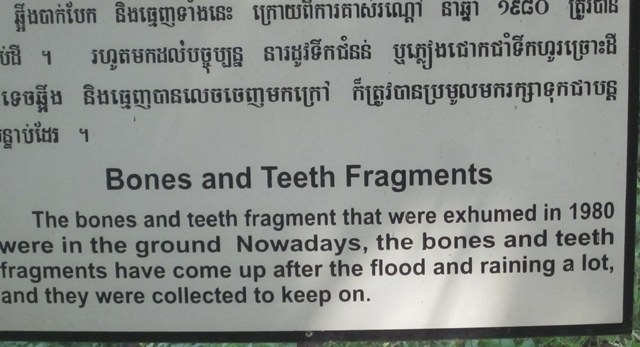 Mass graves containing 8,895 bodies were discovered at Choeung Ek after the fall of the Khmer Rouge regime. 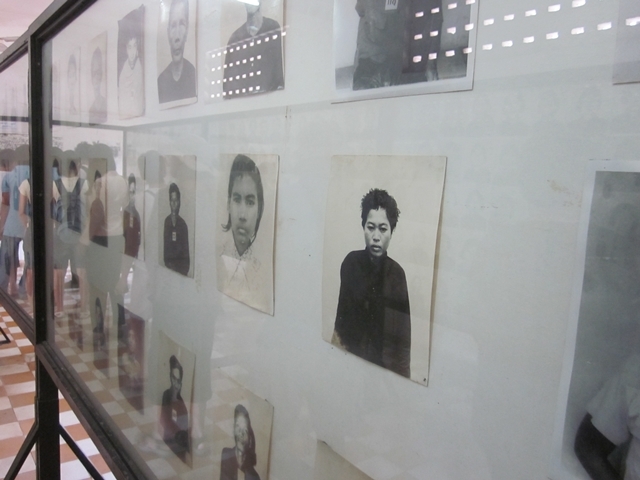 Many of the dead were former political prisoners who were kept by the Khmer Rouge in their Tuol Sleng detention center. Today, Choeung Ek is a memorial, marked by this Buddhist stupa. The stupa has acrylic glass sides and is filled with more than 5,000 human skulls. Some of the lower levels are opened during the day so that the skulls can be seen directly. Many have been shattered or smashed in. 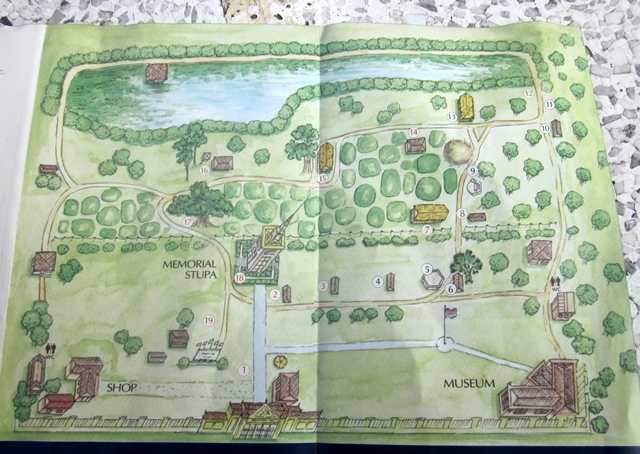 Here is a map of this “Killing Field”. 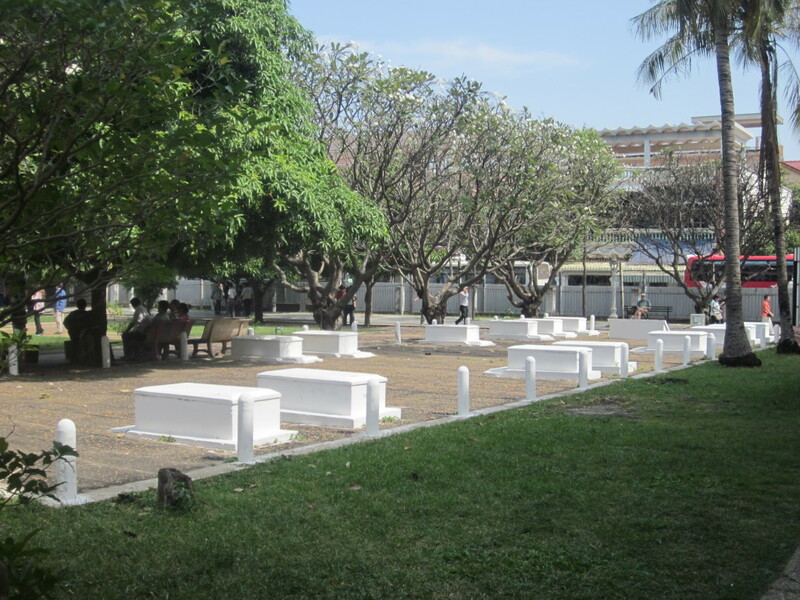 The burial pits are shown at the top, the Stupa is in the center. 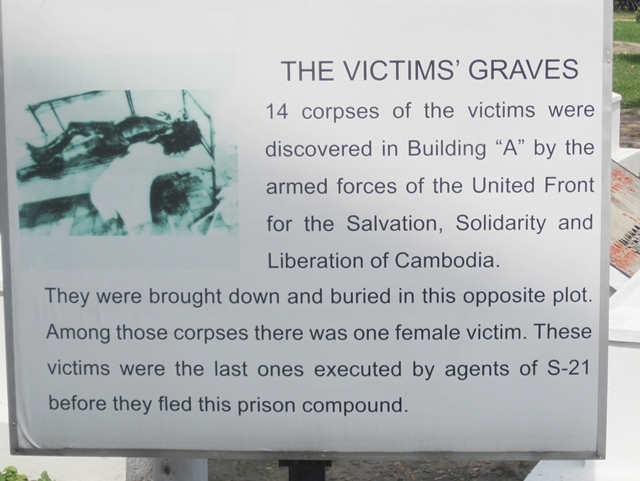 The Killing Fields occupy a number of sites in Cambodia where large numbers of people were killed and buried by the Khmer Rouge regime during its rule of the country from 1975 to 1979, immediately after the end of the Cambodian Civil War (1970–1975). 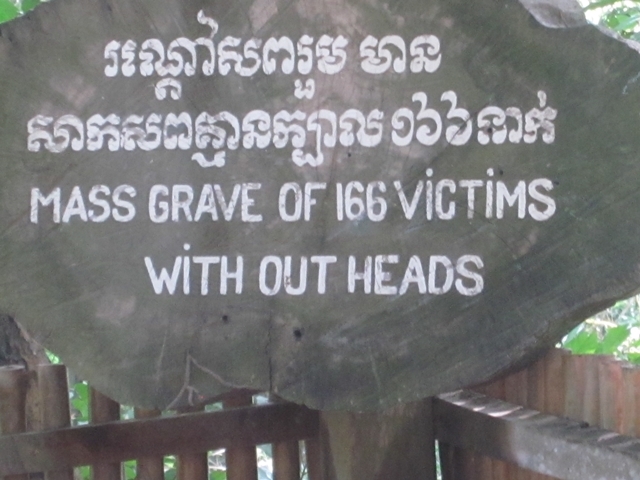 Analysis of 20,000 mass grave sites indicate at least 1,386,734 victims of execution. 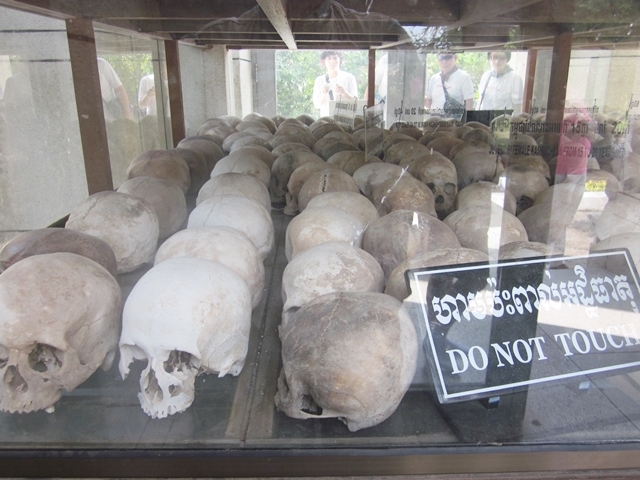 Estimates of the total number of deaths resulting from Khmer Rouge policies, including disease and starvation, range from 1.7 to 2.5 million out of a 1975 population of roughly 8 million. 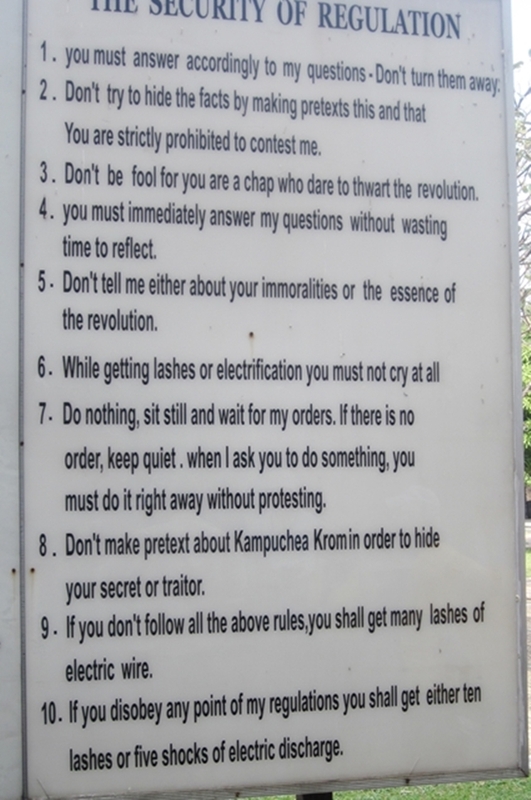 In 1979, communist Vietnam invaded Democratic Kampuchea and toppled the Khmer Rouge regime and brought an end to the killings. 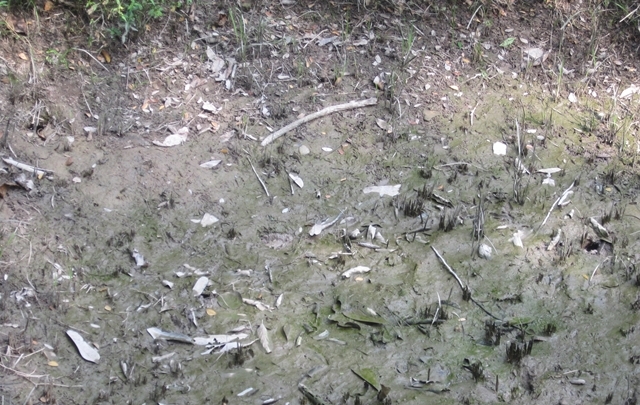 Nie showed us one of the pits and described how bones and clothing are still surfacing after flooding rains. 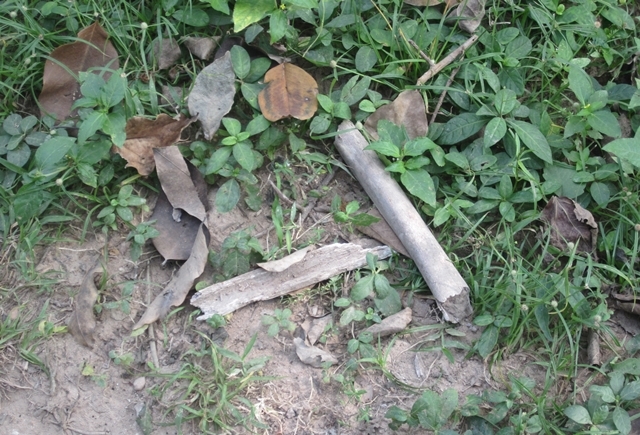 Bones and bone fragments can be seen around the burial pits. 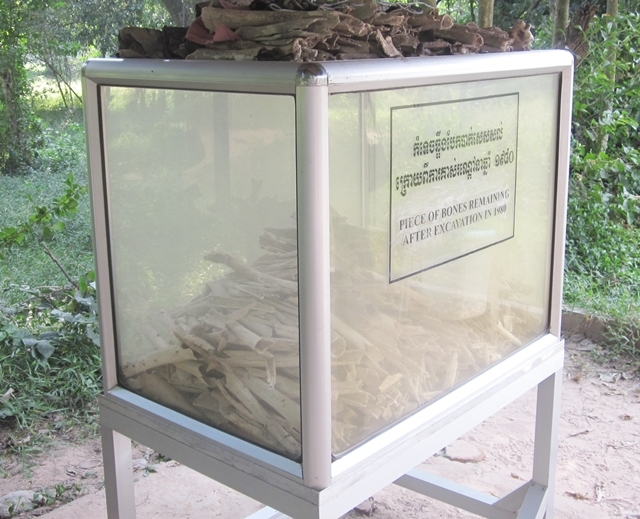 People occasionally pick up bones and clothing and put them on this display of collected remains. 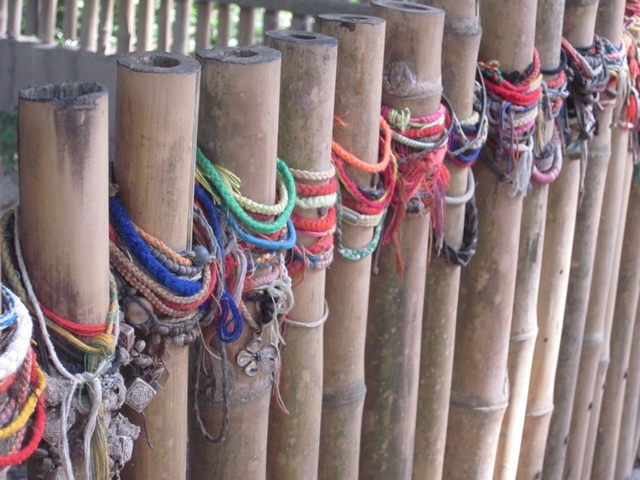 Some signs and rememberances left by visitors. There were some signs of life there. 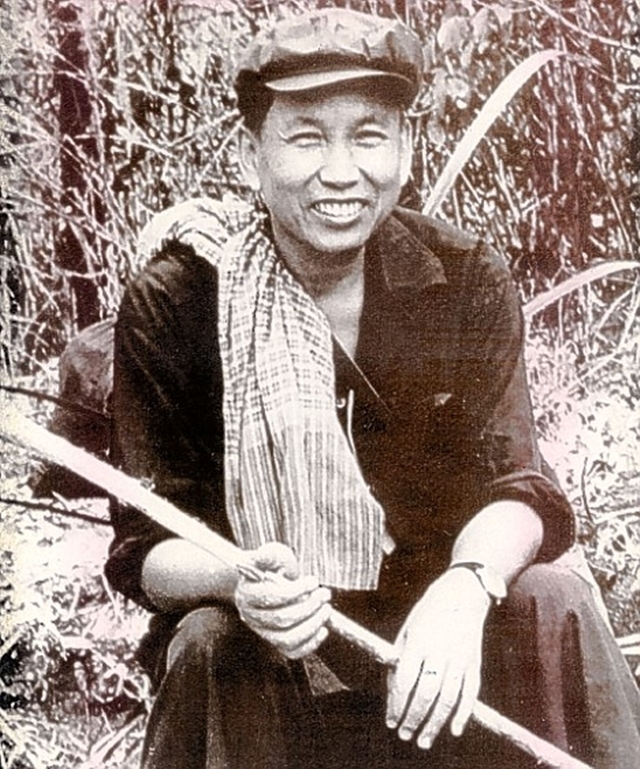 Here is Pol Pot, the leader of the Khmer Rouge and the architect of the Killing Fields: Pol Pot was a Cambodian revolutionary who led the Khmer Rouge from 1963 until 1997. 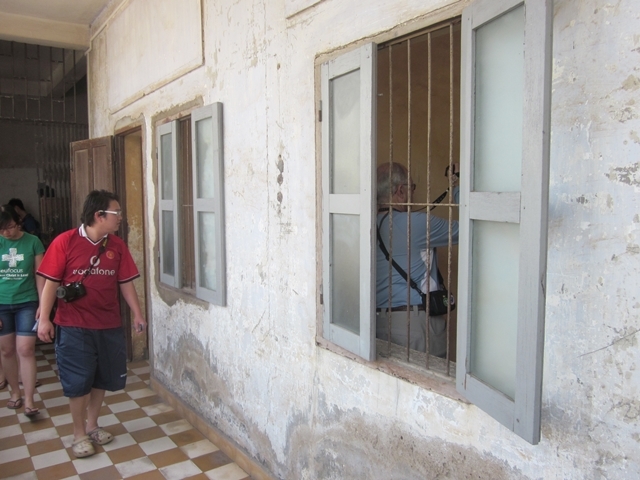 From 1963 to 1981, he served as the General Secretary of the Communist Party of Kampuchea. 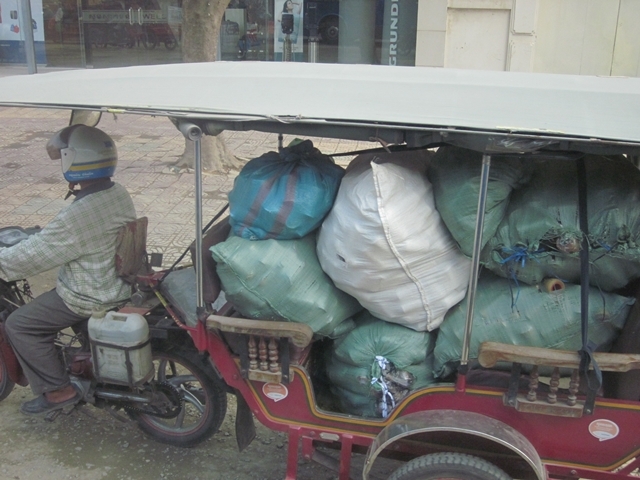 As such, he became the leader of Cambodia on April 17, 1975, when his forces captured Phnom Penh. 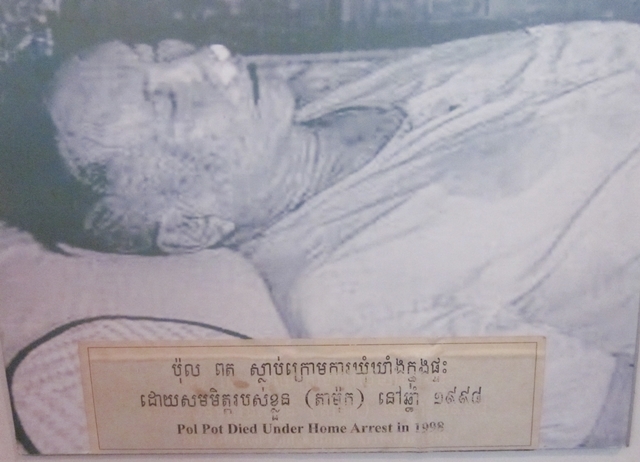 From 1976 to 1979, he also served as the prime minister of Democratic Kampuchea. He presided over a communist dictatorship that imposed a radical form of agrarian socialism on the country. His government forced urban dwellers to relocate to the countryside to work in collective farms and forced labor projects. 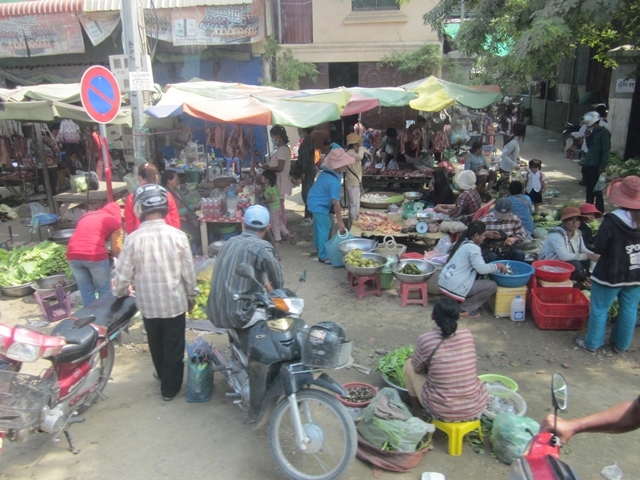 The combined effects of executions, forced labor, malnutrition, and poor medical care caused the deaths of approximately 25 percent of the Cambodian population. In all, an estimated 1 to 3 million people (out of a population of slightly over 8 million) died due to the policies of his four-year premiership. 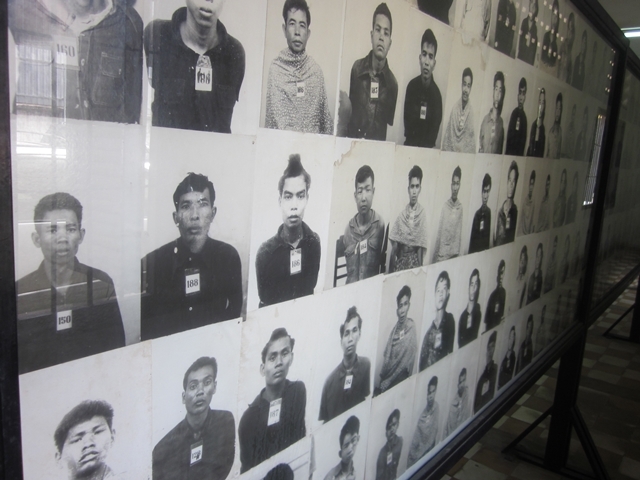 Pol Pot was driven from power by the invading Vietnamese in 1979. For the next few years he lived remotely on the Thai-Cambodian border, where he died either from heart failure or suicide in 1998. He had just heard on the Voice of America news broadcast that his former colleagues had decided to surrender him to an international tribunal investigating war crimes. 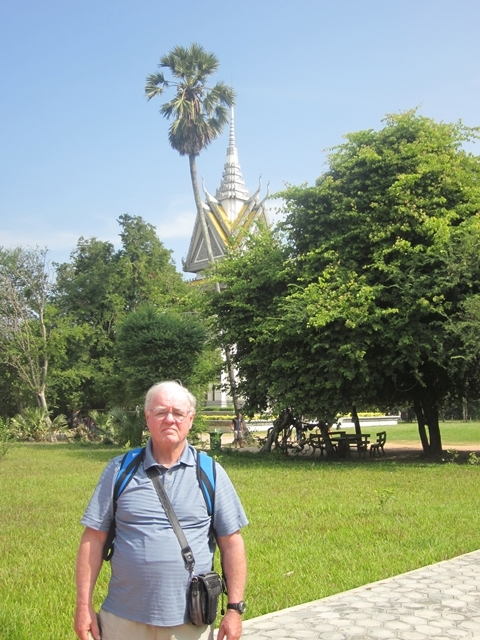 As we left Choeung Ek I snapped this pic of Pete with the Stupa in the background. This a record of the event and is NOT a post card picture. 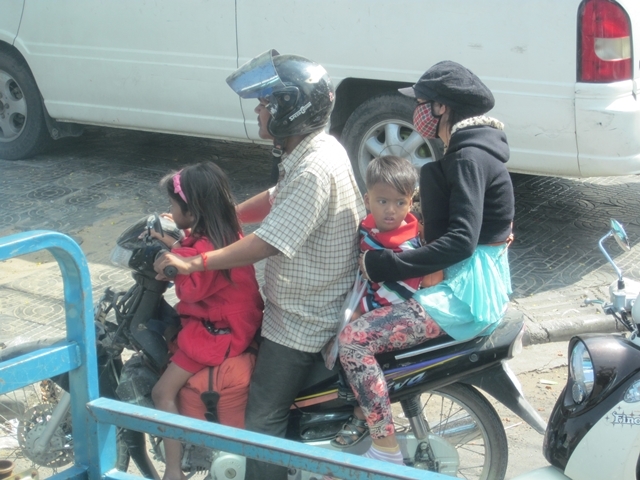 On the way back to town I shot some more street scenes. 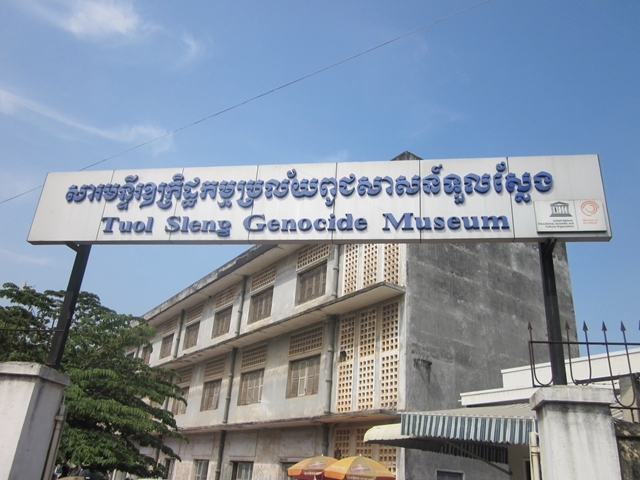 We next went to the “Tuol Sieng Genocide Museum” also Known as “S-21” The site is a former high school which was used as the notorious Security Prison 21 (S-21) by the Khmer Rouge regime from its rise to power in 1975 to its fall in 1979. 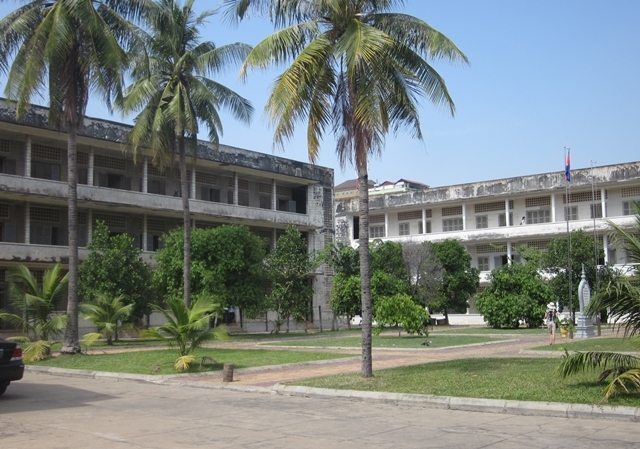 Tuol Sleng means “Hill of the Poisonous Trees” or “Strychnine Hill”. 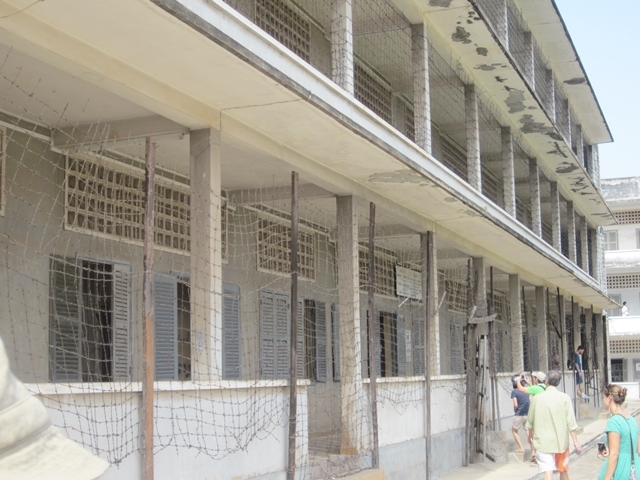 Tuol Sleng was only one of at least 150 execution centers in the country, and as many as 20,000 prisoners from there were killed in the Killing Fields of Choeung Ek . This is one of many school offices converted into cells. Note the keg chains. 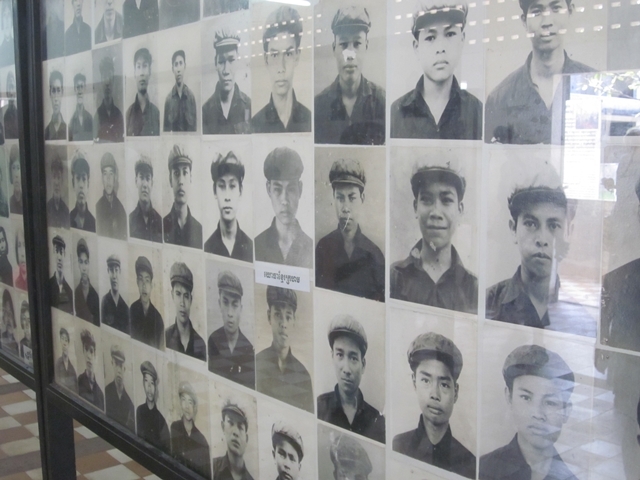 Everyone was photographed even these guards with military caps (above) as well as all the men, wome,and children victims (below). This womans badge states that she was the 462 prisoner admitted on 5/14/78. 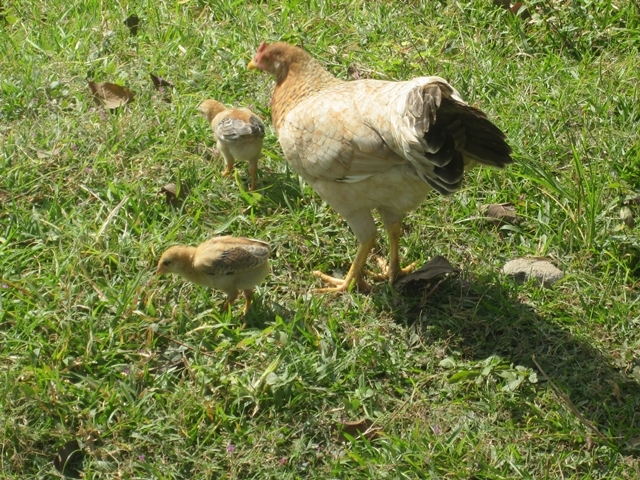 Her baby was killed with her. 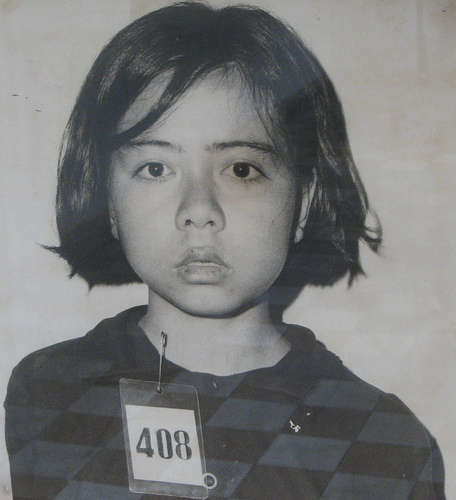 This little girl is only known as “408” Barbed wire netting was placed on the outside balconies to prevent suicides by jumping. Very few people were actully killed in S-21. 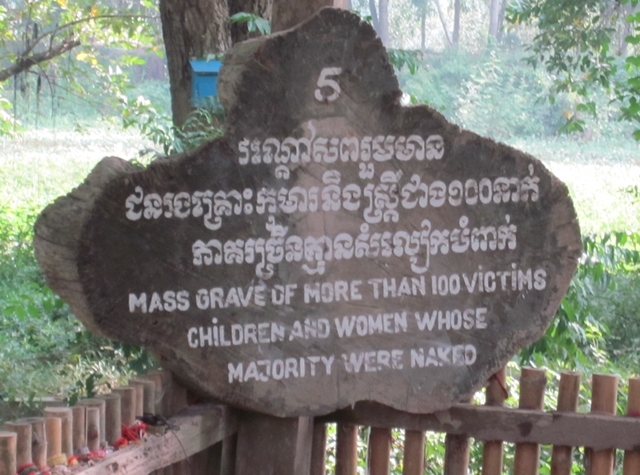 After interrogations and confessions the prisoners were taken to the Choueng Ek killing fields for execution and burial. 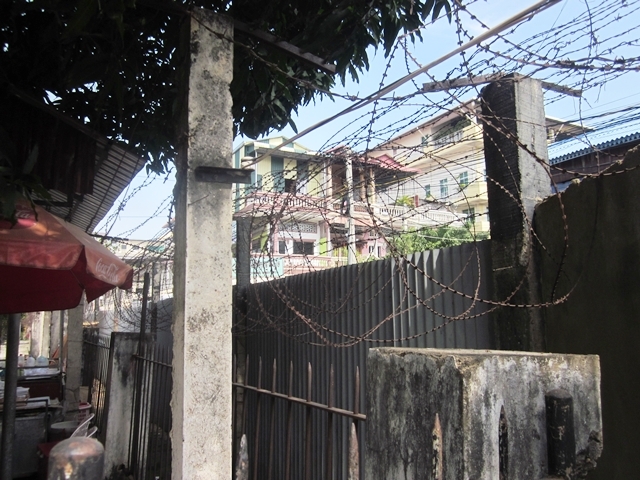 The perimeter of the prison was surrounded by steel sheets and topped with barbed wire. They are still in place today. 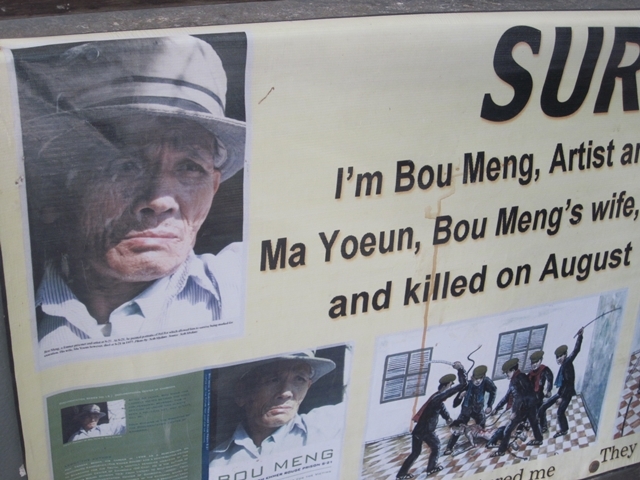 Bou Meng was a survivor. 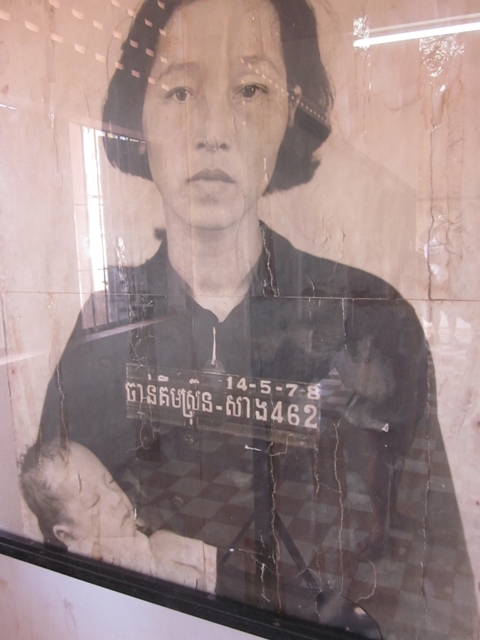 He was allowed to live because he was a painter and Pol Pot liked his portraits. He was at the prison telling his story and selling his book ($10.00). 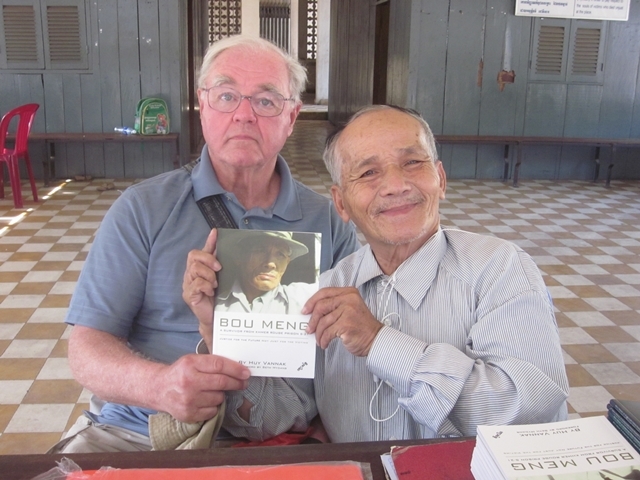 Bou Meng told his story in this book. Peter bought a copy and he signed it. 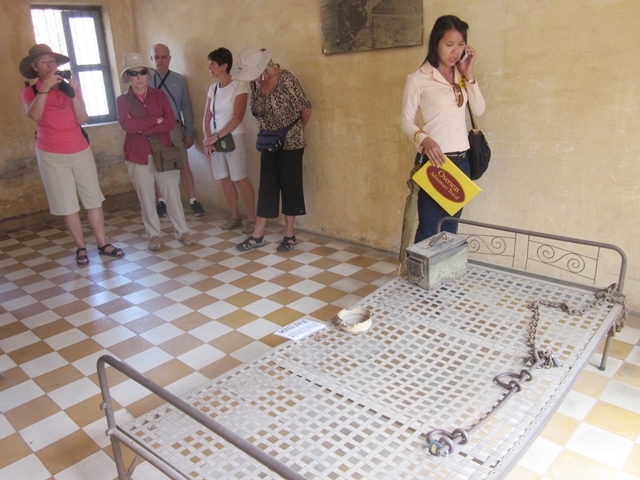 I read the book and got creeped out reading of the horrible things done to innocent Cambodians by the Khmer Rouge in only 4 years 1975 to 1979 and visiting the actual place where it happened. 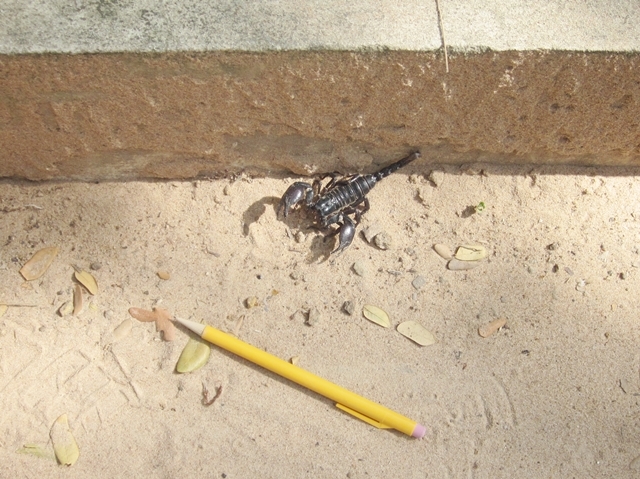 Here is one of Bou Meng’s (?) drawings done to illustrate the atrocities that occurred in S-21. 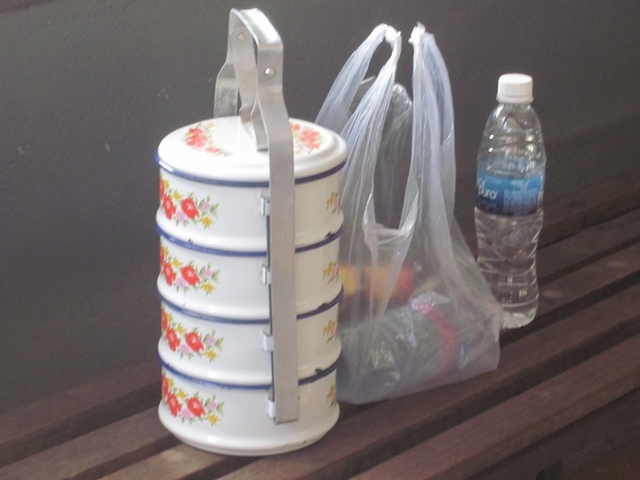 On a lighter note – this is Bou Meng’s lunch pail. It’s rather pretty, don’t you think? One final picture of S-21 and we’ll move on to more pleasant stuff.